Quick & Easy Healthy Sweet Treats! I’m not a fan of depriving yourself in the quest to achieve the perfect body but I do believe in moderation. Rather than remove the sweet treats you love from your diet entirely, try a healthier, low sugar version! By allowing yourself a healthy sweet treat here and there you are less likely to get fed up with clean eating and binge on sugar filled nasties. These days a quick google search should be able to find you a healthier alternative to your favourite dessert. Below are three tried and tested healthy sweet treat recipes that I love. Give them a go next time you feel a sugar craving coming on, I promise you won’t be disappointed! 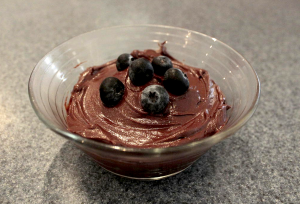 This mousse is super simple to whip up and has a silky smooth texture! Enjoy it with some blueberries, strawberries or dark choc chips for true indulgence. Chill in the fridge for 10 minutes and enjoy! This cake is a must try! 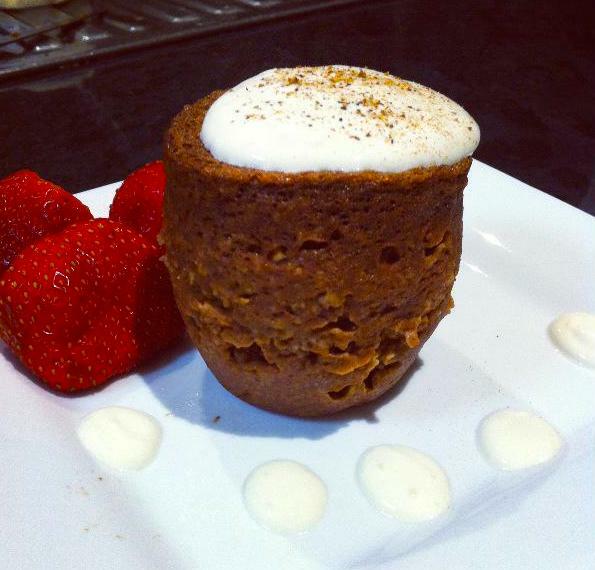 The recipe comes from Grace, one of our BodySwitch 12 Week Challenge participants who introduced me to the ‘mug cake’ phenomenon. Like the mousse it is extremely quick and easy to make, has a nice moist texture and tastes great. Serve with yoghurt and fruit and enjoy while warm! If you’re the type of person who gets sugar cravings at 3pm then these are the perfect solution! You can even have one before gym for a little energy boost. Combine all ingredients in a food processor, or mix together with a wooden spoon (don’t add water yet). Gradually add cold water until the mixture reaches a doughy consistency. 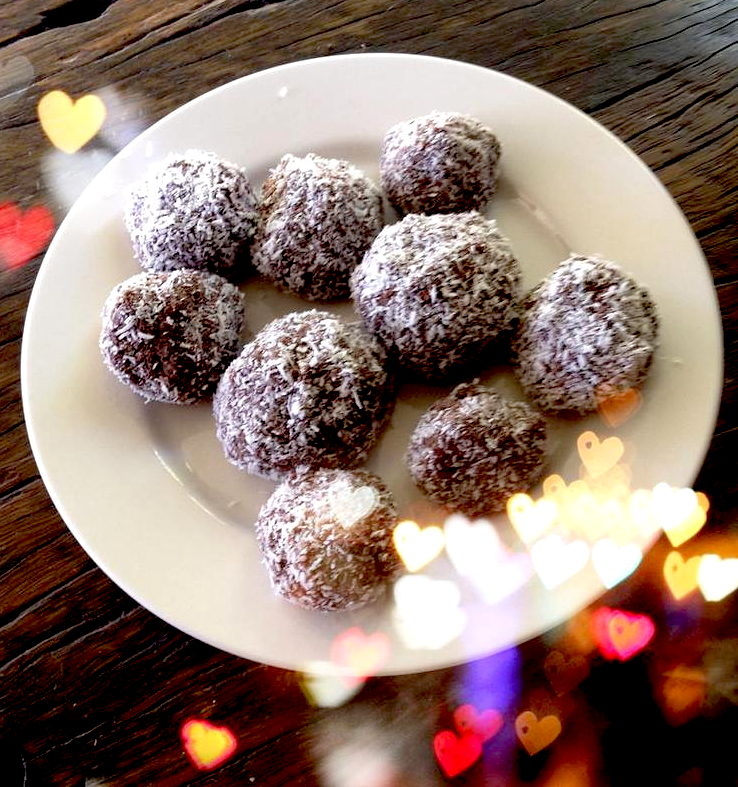 Roll into small balls and roll in additional coconut. Refrigerate.